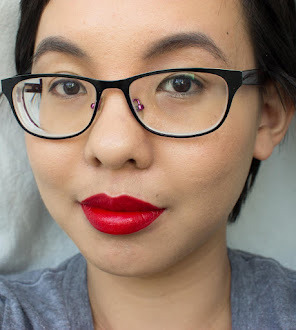 This is a review of the Stila Shimmer and Glow Liquid Eyeshadow in Grace. These liquid eyeshadows first premiered in a Holiday 2017 set alongside their Glitter and Glow Liquid Eyeshadows before finally being released as standalone products with an expanded shade range. I have quite enjoyed using their Glitter and Glow Liquid Eyeshadows (review on two more shades coming soon!) so I wanted to give the Shimmer and Glow Liquid Eyeshadows a try. Click through to continue reading my thoughts on the product and my before/after to show how it held up throughout my 9 hour wear test! 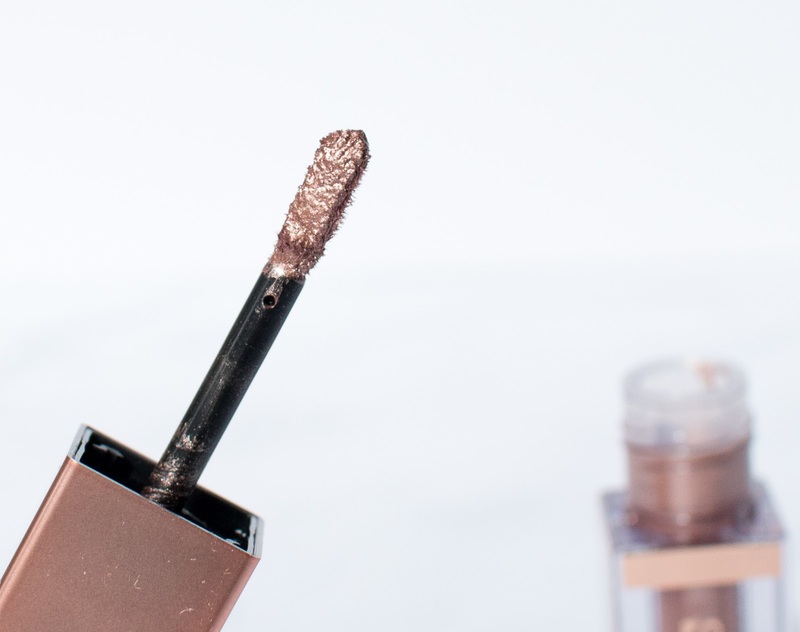 The Liquid Eyeshadow comes in a rectangular tube with a doefoot applicator. It costs $24.00 for 4.5 mL/0.153 oz and it's available at Sephora, Stila, and ULTA. 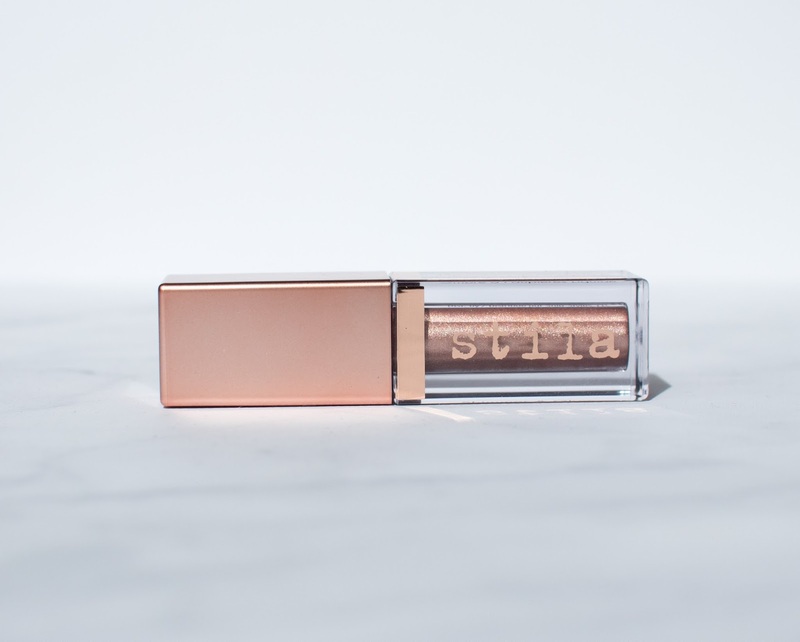 Glisten and gleam with Stila’s NEW Shimmer and Glow Liquid Eye Shadow – rich, beautiful color with a high shimmer sheen, minus the glitter! The pearl-packed translucent base offers versatile wear. Apply a sheer layer for day or an added layer for nighttime drama. A truly unique formula - over 40% water gives a barely-there, refreshing feel and smooth color laydown. 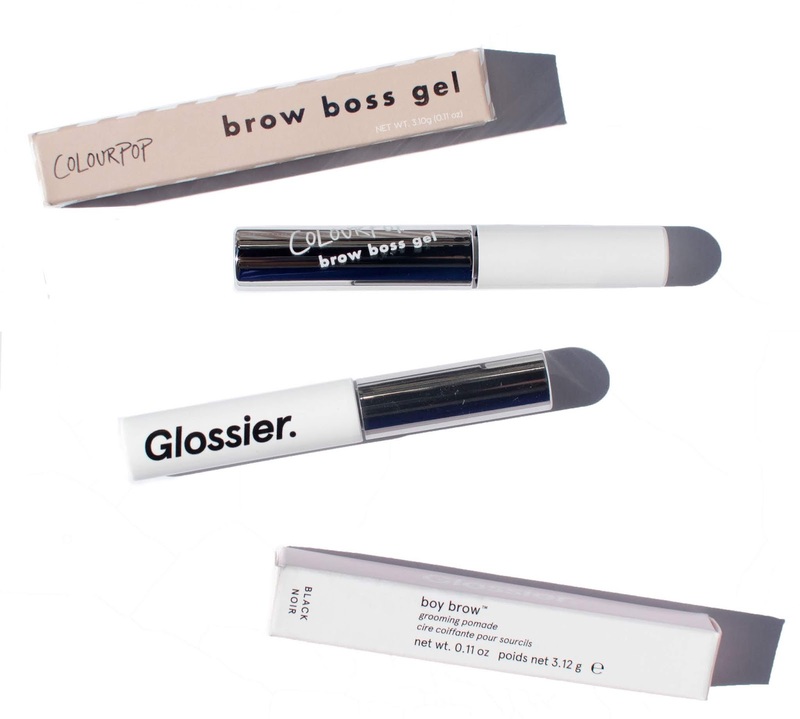 The non-tacky, non-transfer, adhesive base means minimal fallout - no primer needed! 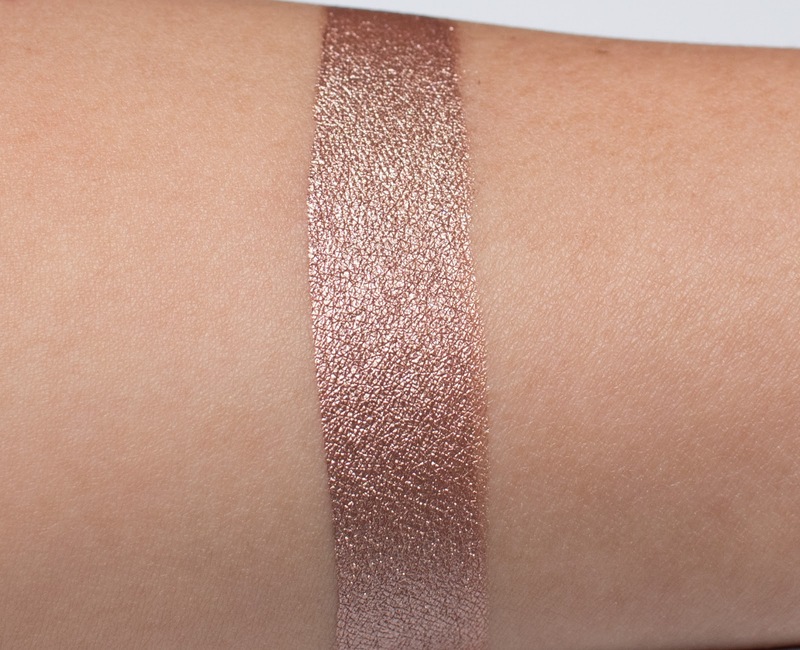 I think the Shimmer and Glow Liquid Eyeshadows are going to be a great option for people who wants a product that dries down while still giving off that high shine look. 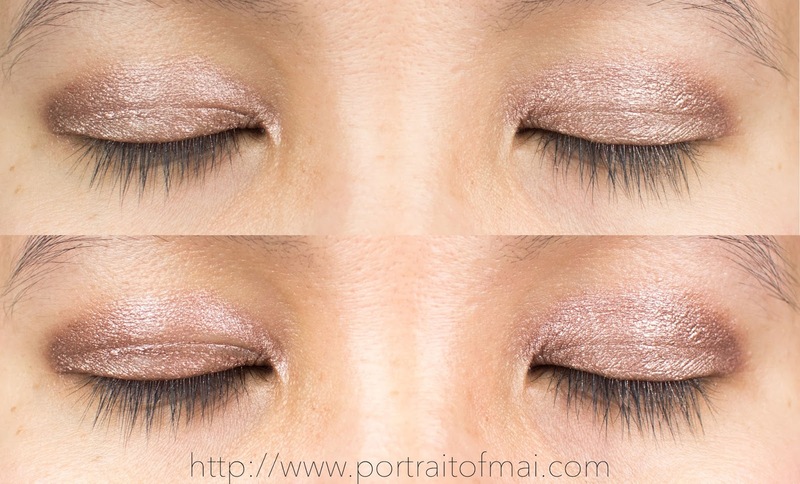 If you like doing "halo" or "spotlight" eyes, this would be a great addition to the center of your eyelid. Grace in particular is quite pigmented but you can still blend the color out for a sheerer finish though it never ends up looking sheer. Due to the water-based formula it can set a little quickly so I prefer to dab it on using the doefoot applicator then blend it out using a synthetic brush. If you let it dry down without blending, it can be difficult to blend the edges so work fast. The water-based formula does feel cooling on your eyelids as it dries. Sephora's website described it as a "long-lasting high shimmer eyeshadow" but Stila makes no mention of its longevity, only that it has minimal fallout. As someone with oily eyelids, I needed to wear an eyeshadow primer in order for it to not crease after five hours. Here's how it looked when new and after five hours. I'm silly and deleted the picture after nine hours of wear but the side with eyeshadow primer did not crease after nine hours. I did not notice any fallout after nine hours with an eyeshadow primer. Grace is described as a "shimmery rosey taupe". I feel like it looks quite warm in the tube but as you blend it out, the shimmer comes through and it dries down a little lighter and slightly cooler-toned. This is a great addition to the Stila series of liquid eyeshadow. This will definitely appeal to people who don't like glitter because you get the shimmery formula without worrying about glitter fallout. I do wish it lasted longer without eyeshadow primer but I always wear eyeshadow primer so it's not a big deal for me. I hope they come out with more colors, especially duochrome colors! Disclaimer: I purchased this eyeshadow myself. All opinions are my own. I was not compensated by Stila for this post. This post does contain affiliate links which provide me with a commission based off your use of the link when making a purchase.